1Not available with lease and some other offers. See dealer for details. 2Must finance through GM Financial. Some customers may not qualify. Not available with some other offers. See dealer for details. 3LEASE SPECIAL IS FOR A CLOSED END LEASE OF THE 2019 GMC SIERRA SLE 2WD CREW CAB FOR $379 PER MONTH PLUS TAX, FOR 48 MONTHS ON APPROVED TIER ONE CREDIT THROUGH GM FINANCIAL. $0 SECURITY DEPOSIT, $1,999 TOTAL DUE AT SIGNING (INCLUDES 1ST PAYMENT, TAX, LICENSE FEES) AFTER APPLICATION OF $2,350 SELECT MARKET INCREMENTAL CCR PROGRAM AND CURRENT GM LESSEE REBATE OF $2,000 (MUST HAVE GM LEASE IN HOUSEHOLD) FOR A TOTAL OF $4,350 IN CASH REBATES. 10K MILES PER YEAR AND $.25/MILE THEREAFTER. SEE DEALER FOR DETAILS. 1Not available with special financing, lease and some other offers. See participating dealer for details. 2Not available with lease and some other offers. See dealer for details. 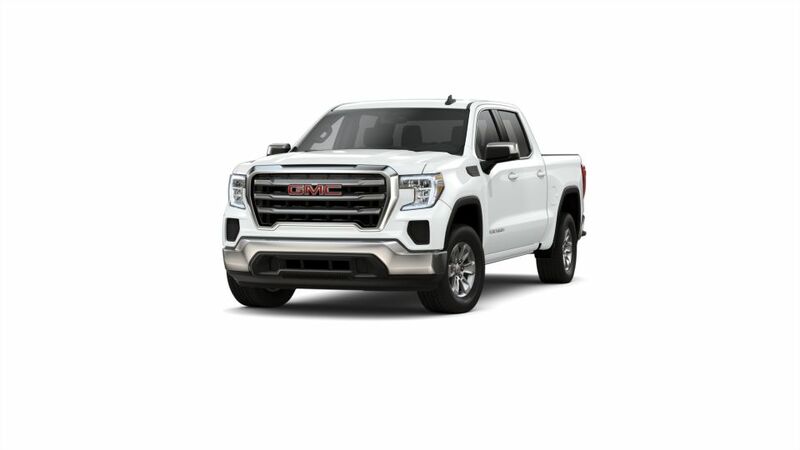 3LEASE SPECIAL IS FOR A CLOSED END LEASE OF THE 2019 GMC SIERRA ELEVATION 2WD DOUBLE CAB FOR $399 PER MONTH PLUS TAX, FOR 48 MONTHS ON APPROVED TIER ONE CREDIT THROUGH GM FINANCIAL. $0 SECURITY DEPOSIT, $1,999 TOTAL DUE AT SIGNING (INCLUDES 1ST PAYMENT, TAX, LICENSE FEES) AFTER APPLICATION OF $2,350 SELECT MARKET INCREMENTAL CCR PROGRAM AND CURRENT GM LESSEE REBATE OF $2,000 (MUST HAVE GM LEASE IN HOUSEHOLD) FOR A TOTAL OF $4,350 IN CASH REBATES. 10K MILES PER YEAR AND $.25/MILE THEREAFTER. SEE DEALER FOR DETAILS. 1Not available with lease and some other offers. See dealer for details. 2Must finance through GM Financial. Some customers may not qualify. Not available with some other offers. See dealer for details. 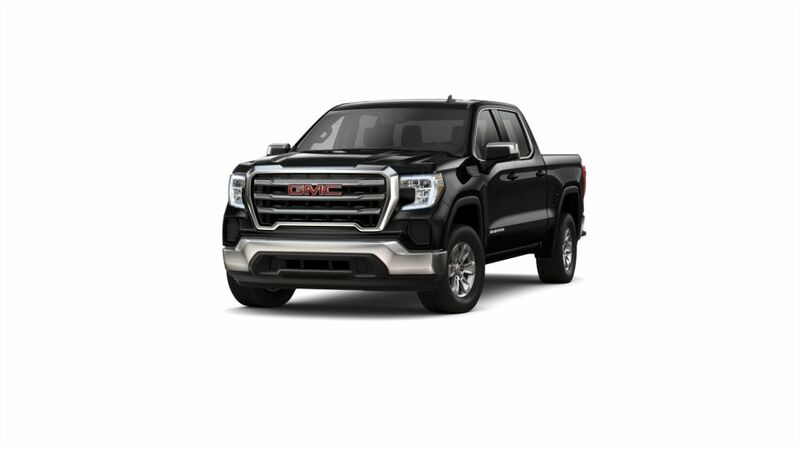 3LEASE SPECIAL IS FOR A CLOSED END LEASE OF THE 2019 GMC SIERRA SLT 2WD CREW CAB FOR $499 PER MONTH PLUS TAX, FOR 39 MONTHS ON APPROVED TIER ONE CREDIT THROUGH GM FINANCIAL. $0 SECURITY DEPOSIT, $1,999 TOTAL DUE AT SIGNING (INCLUDES 1ST PAYMENT, TAX, LICENSE FEES) AFTER APPLICATION OF $2,850 SELECT MARKET INCREMENTAL CCR PROGRAM AND CURRENT GM LESSEE REBATE OF $2,000 (MUST HAVE GM LEASE IN HOUSEHOLD) FOR A TOTAL OF $4,850 IN CASH REBATES. 10K MILES PER YEAR AND $.25/MILE THEREAFTER.SEE DEALER FOR DETAILS. MUST TAKE DELIVERY BY 4-30-2019.